For decades research has shown that hands-on learning at preschool is best. Yet, as politicians, bureaucrats, school administrators and even the public push for more and more formal academics at earlier and earlier ages, we're seeing hands-on learning being devalued and minimized. While knowledgeable early childhood educators understand how valuable it is, many who have the decision-making power do not. That's why it's important that parents educate themselves on the issue and become advocates for hands-on learning at preschool and, thus, advocates for what's best for their young children. 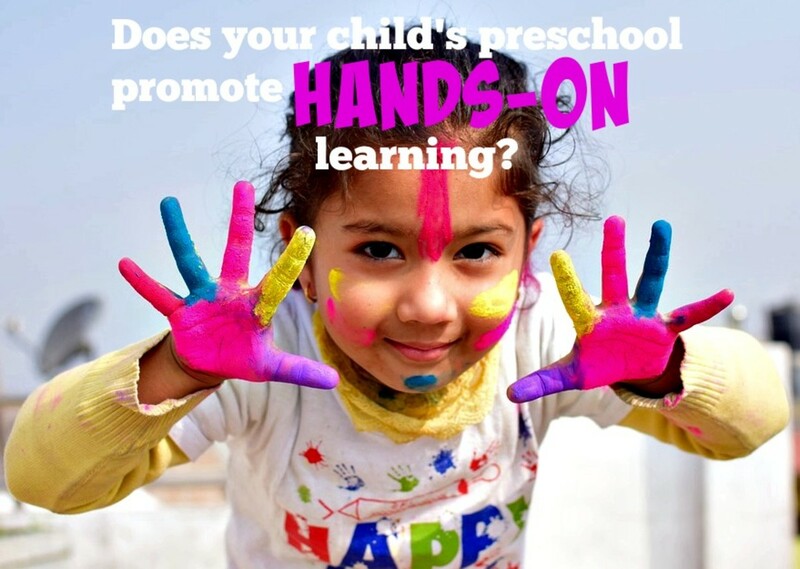 What Is Hands-On Learning at Preschool? Hands-on learning at preschool simply means the children are active learners throughout the day: exploring with materials, learning by doing, moving throughout the classroom, and interacting with one another. The teacher acts as a facilitator—not by telling the children what to do with the materials—but by asking questions that challenge them to use them in new and creative ways. A teacher skilled at hands-on learning will often begin her inquiries with how: How can you build that bigger without it falling? How can you make sure those plants grow healthy? How can you all play together so everyone has a turn? Why Is Hands-On Learning at Preschool Under Attack? During the past two decades, preschools and kindergartens have adopted an “escalated curriculum,” meaning they're requiring young children to do academic activities that were once reserved for older students. The curriculum for preschool and kindergarten now includes expository writing, sustained silent reading, long periods of sitting still and listening, reading groups, and paper-pencil math. While these escalated activities have increased, developmentally appropriate practices have decreased such as hands-on learning as well as music, art, and open-play. Whenever standardized test results show US students lagging behind other industrialized countries, a huge cry goes up for more rigorous academics in our schools. Young children become the unwitting victims of this when hands-on learning at preschool is greatly reduced and minimized as “just play.” They're hurt further because early childhood educators with integrity, talent, and knowledge choose to leave the profession, refusing to teach in a way that's unsuitable for young children. Young children are hurt again when these experienced teachers get replaced by ones who know very little about the uniqueness of early childhood education. The federal government has become increasingly involved in all areas of education and preschool is no exception. About 35% of all 4-year-olds in our country attend publicly supported prekindergarten programs. States have established early learning standards for the years before kindergarten, and Head Start has adopted a “child outcomes framework” that identifies learning expectations in eight domains. Because of the government's growing involvement, the sweet preschool experience of yesterday is slowly disappearing—the one we remember so fondly where we played with big wooden blocks on the carpet with our buddies, went outside to ride tricycles like maniacs on the blacktop, and painted unique masterpieces of our own creation at the easel. The bureaucracy has taken over, meaning lots of red tape, documentation, rules, and regulations. Preschool is now starting to look like every other grade with little or no recognition of developmentally appropriate practices such as hands-on learning. Sadly, as the government becomes more involved in early childhood education, parents become less involved, less empowered. They become convinced that their children must go to preschool or else they'll fall behind their peers. They feel less capable of teaching their children themselves—certain they're not qualified, certain they don't have the right skills and the right curriculum, certain they'll somehow mess up and confuse their children. 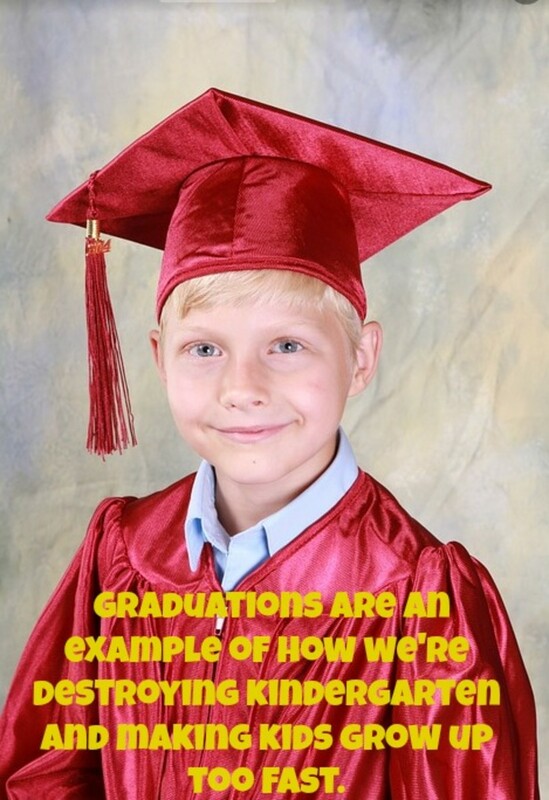 The government does everything in its power to re-enforce these feelings of inadequacy in parents so the educational bureaucracy can grow bigger and bigger. Minimizing hands-on learning at preschool is reminiscent of the movement years ago to drop or greatly reduce recess. School administrators, worried that children were not getting enough academic minutes, decided recess was the thing to go. 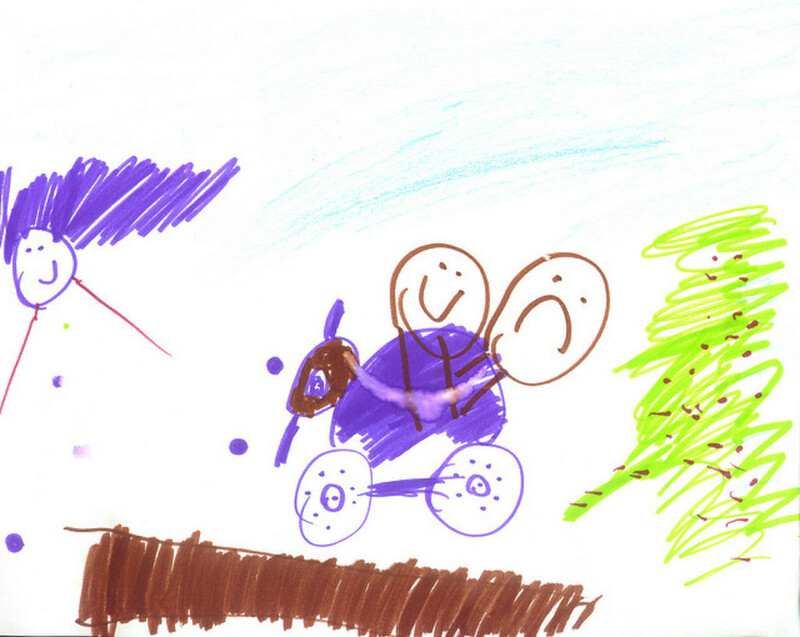 Child development experts warned that this was foolhardy but got ignored. Without recess, children were less focused during class time. There was an increase in obesity and a decrease in fitness. There were more behavioral issues and less positive social interactions. It was a failure— just as this current push to minimize hands-on learning will be. It's just a matter of time. Is It ADHD? A Behavioral Disorder? Immaturity? Perhaps, It's Simply Not Enough Hands-On Learning at Preschool! It's not a coincidence that young children are suddenly getting diagnosed with a plethora of behavioral problems just as we demand more from them academically. Teachers tell concerned parents that their children have behavioral issues, ADHD, or are immature for their age. When in reality, the children are perfectly normal —healthy, happy, active little kids who need hands-on learning experiences, open play time, and lots of fun experiences like movement, art, and music. Their attention spans are 15-20 minutes long so asking them to sit still and listen for long periods of time is unreasonable and, quite frankly, cruel. It's also the height of cruelty for teachers to suggest there's a problem with a youngster when it's simply not true. The problem is with the educational establishment, not the children. It's so critical that parents educate themselves about hands-on learning at preschool to appreciate its importance and advocate for it. Teachers are under pressure to get results, carry out standards, and follow whatever new guidelines the government is requiring. Sometimes they lose their way and forget about what's most important. Hands-on learning at preschool returns the focus to where it belongs—on the children and what's best for them. A Book That Champions Childhood! As a former preschool and kindergarten teacher, I've seen childhood being ripped away from our kids. There's now less imaginative play, less art, and less social interaction. There's too many teacher-directed lessons, too much seat work, and too many tests and standards. Nancy Carlson-Paige addresses all these issues in this fabulous book and tells parents how they can become champions for letting kids be kids. A joy to read and recommend! Are you worried that the federal government is too involved in education? No. I think our schools are stronger because of it. Yes. Teachers should have more power and influence in the classroom, not politicians. When looking at preschools for their child, what should parents consider? A former early childhood educator and mother of 2 lists 50 characteristics of a high-quality preschool. Circle Time is a popular practice in early childhood education but is it a good one? Research shows youngsters learn more with small group activities, kinesthetic learning, and hands-on exploration. What's your opinion about computer use in preschool? Computers in preschool are not a good use of class time. Young children are much better served with activities that spark their imaginations, tap into their curiosities, and get them interacting with one another. What a shame it is for preschoolers to engage in a virtual world when the real one around them is filled with blocks, puppets, puzzles, play-dough, and paint! Preschoolers are wired to be active learners--discovering through movement, through their senses, through their curiosity, through play, and through hands-on materials. For these reasons, computers in preschool are not considered within the realm of “developmentally appropriate practices” by the vast majority of pediatricians and scholars in early childhood education. Computers in preschool are a red flag, warning moms and dads that the director is unfamiliar with the latest findings on kids and screens. According to a 2010 study by the Kaiser Family Foundation, American children and teens are spending more than seven and a half hours per day on screens (computers, TV's, and smartphones) and that amount is increasing. While this report didn't include preschoolers (just kids 8-18), it's staggering evidence that our country's problem is too much screen time for youngsters, not too little. Sadly, preschoolers get hooked on technology, and their addiction can lead to major health issues as they mature. These include obesity, depression, anxiety, narcissism, and suicide. While it may look cute and precocious when a 3-year-old uses daddy's smartphone, it's anything but adorable when a 13-year-old becomes socially isolated, earns poor grades, gets bullied online, can't communicate effectively, and doesn't experience empathy. Unfortunately, too many ill-informed parents get impressed by computers in preschool and think early exposure is beneficial. They foolishly brag that their preschoolers are “smart” because they're more adept with technology than some adults. This, however, is not an indication of true intelligence but just illustrates kids' fearlessness with devices. Real intelligence comes from real-world experiences, not virtual ones. It infuriates me when parents of preschoolers recite the cliché “earlier is better,” knowing it's not true but wanting to relieve their guilt about letting their little ones use screens. According to the American Association of Pediatricians, children 2-5 should have only one hour of “high-quality programming” in front of screens per day. However, anyone with a lick of common sense knows it's highly unlikely parents are adhering to this guideline. Many of us have had the experience of being with our families during the holidays and seeing kids get on their devices. Most moms and dads have no idea what they're watching but are just glad they're busy, quiet, and safe. Before parents realize it, their children have racked up 3-4 hours watching screens! Computers in preschool give parents the wrong message about young children and technology. Preschool directors and teachers have an obligation to inform parents about appropriate practices for this age group and warn them against screen time. There shouldn't be computers in preschools any more than there should be TVs. Thanks for your thoughtful comments, Sybol. I've been reading more research about the value of downtime for both adults and kids. It seems crucial for stimulating our creativity, staying mentally sound, and becoming our best selves. Many of the children I know are over-scheduled with too many structured activities and have very little of it...at school and at home. 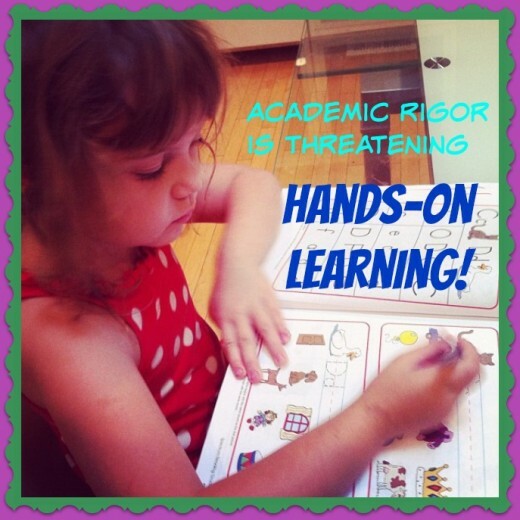 I agree that hands on learning is very important especially for young children. Memorization is important but the ability to think and reason is very important. Playtime, down or free time, and creative time are also very important. Teachers, good teachers, seasoned teachers definitely know better that bureaucrats and corporate heads. Yes, people may become more interested in the truth about early child hood when speech problems become evident. Yes and a lot of the young, inexperienced teachers think hands-on learning, play, and exploration are old-fashioned ideas. Kindergarten teachers are now being chosen for the job because they're good at handling discipline problems. Nobody stops to think: The problem is not with the kids; it's with the instruction. I hope you keep being a voice in the wilderness, Kathryn! They're hurt further because early childhood educators with integrity, talent, and knowledge choose to leave the profession, refusing to teach in a way that's unsuitable for young children. " "Young children are hurt again when these experienced teachers get replaced by ones who know very little about the uniqueness of early childhood education." Precisely what I am witnessing, wherever I sub. I think it's crazy that parents of second and third graders say they can't help their children with math because Common Core is so strange and convoluted. But, it's even crazier when parents think they can't do the preschool curriculum with their children. They can do it and be 100 times more effective because it's one on one and nothing beats that! Thanks for reading and commenting! "Parents become less involved, less empowered." That's a dangerous red flag warning that the powers will make specimens of the children. Thanks for dealing with this topic; hope parents listen up and act. I'm pretty cynical about education these days. Whenever there's a new movement (e.g. the current one, STEM), there are people profiting from it. There are so many products now (toys, supplies for teachers, teacher manuals, etc.) that encourage STEM learning. Somebody is making a lot of money, but it's never the teachers! The basics of good teaching don't change, but that notion isn't a money maker.